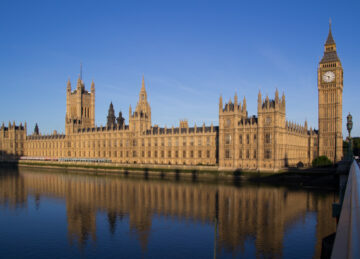 Let your newly elected MP know about pancreatic cancer! In the run up to the recent General Election, which took place on 8th June 2017, we called on all political parties to support our manifesto . Thank you for all your help reaching out to your parliamentary candidates. Now the election is over, it’s an ideal time to get in touch with your MP and welcome them. Whether your MP is new to Parliament or has just been re-elected, they will be looking ahead to the next few years or so. By getting in touch with them now, you can help make sure that pancreatic cancer is at the forefront of their mind. And if your MP is new to the job, it’s a good opportunity for you to get to know each other, and for them to learn more about some of the issues that they should be concerned about. Talking to your MP about the issues surrounding pancreatic cancer can have a huge impact on raising the profile of pancreatic cancer in parliament – don’t forget they are elected to represent your views, so should be willing to discuss your concerns with you. Why not send a letter of introduction and invite them to join the APPG? The All Party Parliamentary for Pancreatic Cancer (APPG PC) exists to raise the profile of pancreatic cancer issues within Parliament. The group provides a forum for MPs and Peers to meet and interact with stakeholders, to discuss the most important issues affecting women and men with pancreatic cancer, to share ideas about issues and discuss ways to change the political landscape for pancreatic cancer. It also encourages dialogue between parliamentarians, government, the NHS and, most importantly, those living with or affected by the disease. 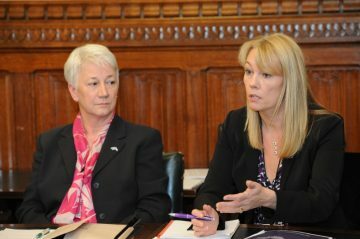 Pancreatic Cancer Action is one of the APPG PC stakeholders, and through this group, we aim to raise the profile of pancreatic cancer within Parliament; to raise the issues of relevance to government and policy makers and influence policy and improve life for pancreatic cancer patients and survivors. How can I get my MP involved? First of all, find out the contact details for your MP, which can be found by visiting They Work for You. If you are feeling daunted by the idea of having to write a letter, why not use our MP Template Letter and adapt it to highlight your personal interest – your MP is more likely to pay greater attention it! The letter includes information about the APPG, including how they can get involved. MPs receive hundreds of standard e-mails and while we often encourage you to use our template letters to contact your MP about a particular issue, it’s worth spending time making your communication personal, using our suggested wording as a guide. How can I let my MP know about the APPG? The average MP will have 90,000 constituents, so here are some pointers to get your voice heard. Find out your MP’s twitter page here and our ‘How To twitter Guide’ here. Very few people contact their MP by phone but it can be a great way to get heard and initiate discussions. If you decide to call them, prepare in advance what you want to say and keep it concise to include, at most, your top concerns or issues. MPs admit that being able to discuss issues face to face with constituents has the most impact for them. All MPs have constituency surgeries (usually on a Friday, although sometimes at weekends and evening slots), and you can phone or email their constituency office to arrange a suitable time and date to meet them. Have a read of our blog on Maggie Watts whose MP was inspired by her to take up her cause and now chairs the All-Party Parliamentary Group on pancreatic cancer.